After having a daily countdown from my 4 year old daughter, we finally saw it last weekend. Since Finding Nemo is one of my favorite ‘new’ Disney/Pixar movies, I was pretty excited to see this flick. Maybe not as excited as my little girl, but I was pretty excited. Dory didn’t disappoint! It was a great movie, in my opinion! We like to do crafts as extensions of books that we read, like this Pigeon & Duck craft inspired by Mo Willems. It can work the exact same as an extension of a movie. 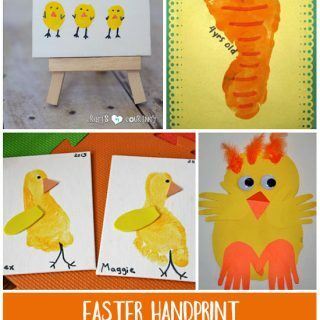 This awesome Nemo handprint plaque tutorial is a great example of this! 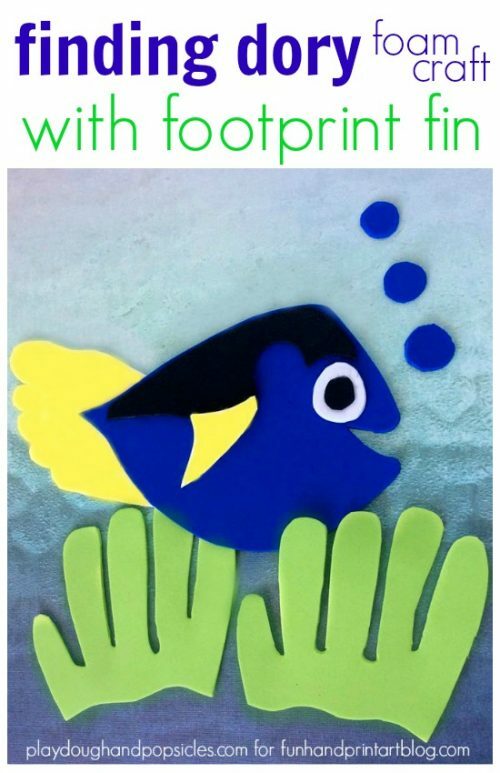 We loved the movie so much we just had to make a Finding Dory foam craft inspired by it. 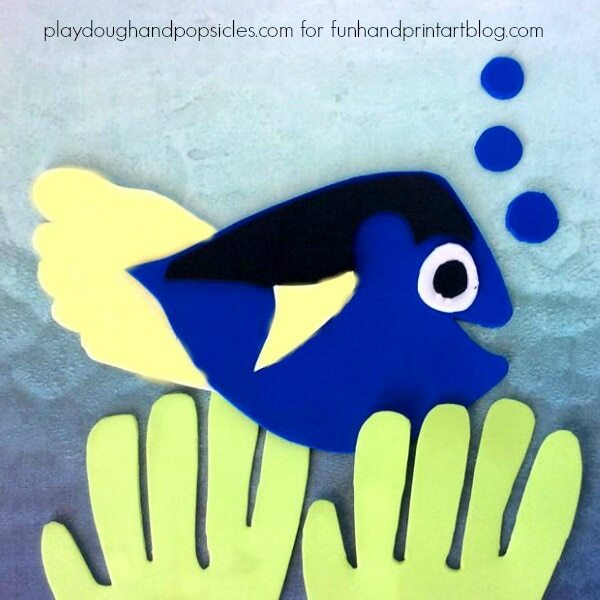 Did you know Dory is a Blue Tang fish? I had never heard of them, but clearly I have now. Dory is everywhere. They are beautiful fish! Their colors are unique and so pretty. 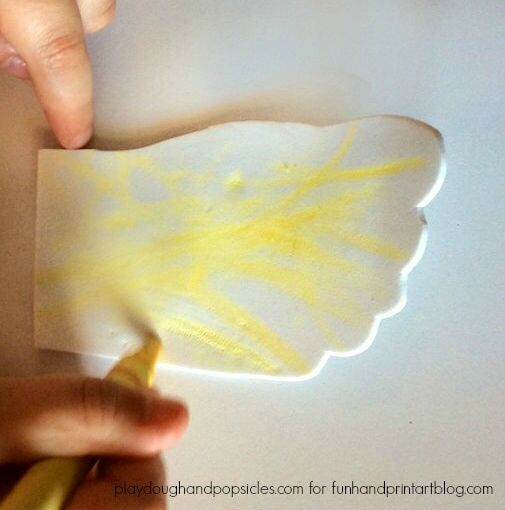 We started by tracing my daughter’s foot onto a piece of white foam. We didn’t have yellow so we chose white and colored it. If you have yellow, use yellow! We traced & cut out her foot. This made the main theme. 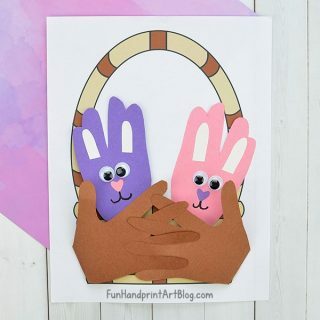 We also used my daughter’s fingers as the template for the sea weed, it’s perfect! Glue all the pieces into place as shown in picture above. We glued the whole scene onto a piece of scrapbook paper that looked like waves or water, but blue card stock would be sufficient as well. 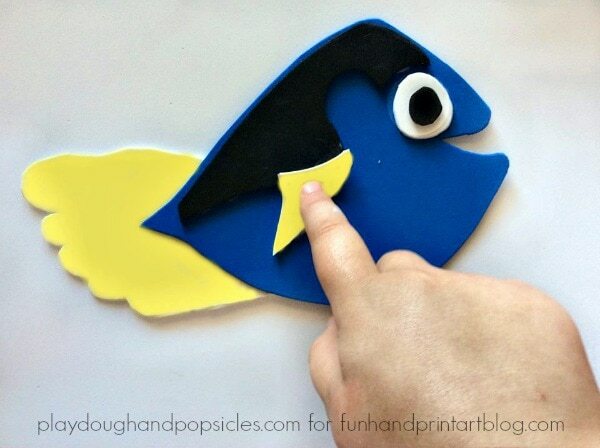 My daughter was so excited to finish our Finding Dory foam craft and to hang it on her wall of fame (aka the fridge).